Born in 1893(?) in Chapel Hill, North Carolina, Elizabeth (Libba) Nevill grew up living and experiencing segregation. However, as the youngest of five children in a loving home, Libba was surrounded by music. Her older brother, Claude, owned a guitar, and Libba would sneak into his room and borrow it when he was at work. Claude was right-handed, and Libba was left-handed. So, she taught herself to play by turning the guitar upside down and playing it backward. When Claude moved out, Libba worked many jobs to buy her own Stella guitar. After hearing songs once, the young girl could play them, and she wrote her first original song when she was around 11 years old. That song, Freight Train, became one of her most famous songs, and it has been recorded by many musicians throughout the years. Libba married Frank Cotten when she was 17 years old, and they had a daughter, Lillie. 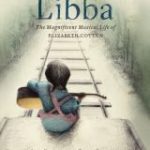 Once Libba was married, she put her guitar away and didn’t play again for many years. By a fortunate happenstance, Libba was invited to become a housekeeper for the famous folk-singing Seeger family. In their home, she was once again surrounded by music, and she picked up her guitar again. One day, the Seeger children heard beautiful music coming from the kitchen and went to investigate. When the Seegers realized Libba’s talent, they invited her to record an album and to tour with them. Libba’s career began in her sixties, and it continued until her death in 1987. 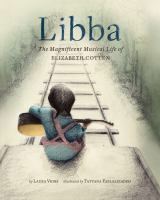 Veirs and Fazlalizadeh introduce children to this talented woman in their picture book, Libba.